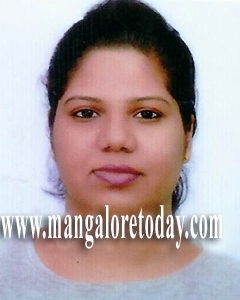 Mangaluru, July 27, 2015: A 26 year old lady student of Srilanka who was undergoing Hotel Management Course in a College in Moodbidri has been reported missing from her hostel room since July 25. The missing girl is Sattambiralage Don Nimnatarushi Sebastian. The suspicion is that she had left the hostel unhappy with the facilities available for the inmates. It is learnt on July 17, she had complained to the warden about her displeasure with the facilities available in the hostel. On July 25, the girl who had left the hostel, instead of attending college had travelled on the Mangaluru-Moodbidri route as was found through CCTV footages. It is suspected that she might be staying in some lodge or trying to make arrangements to travel to Srilanka. The girl is five foot six inches tall, knows English and Sinhala language and is of wheatish complexion. Anyone coming across her have been asked to contact Police Commissioner (0824-2220801, 2220800) or Moodbidri police station (08258-236333, 9480802314). When we are not sure what has happened we cannot decide anything? Lets leave to the police for further inquiry and hope for the best. Hope she not in any type of trouble?